Author and Instagram star Heather Avis has made it her mission to introduce the world to the unique gifts and real-life challenges of those who have been pushed to the edges of society. 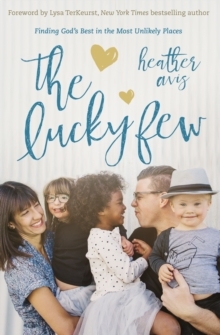 Mama to three adopted kids - two with Down Syndrome - Heather encourages us all to take a breath, whisper a prayer, laugh a little, and make room for the wildflowers. In a world of divisions and margins, those who act, look, and grow a little differently are all too often shoved aside. 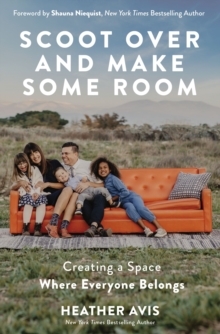 Scoot Over and Make Some Room is part inspiring narrative and part encouraging challenge for us all to listen and learn from those we're prone to ignore. Heather tells hilarious stories of her growing kids, spontaneous dance parties, forgotten pants, and navigating the challenges and joys of parenthood. She shares heartbreaking moments when her kids were denied a place at the table and when she had to fight for their voices to be heard. With beautiful wisdom and profound convictions, this manifesto will empower you to notice who's missing in the spaces you live in, to make room for your own kids and for those others who need you and your open heart. This is your invitation to a table where space is unlimited and every voice can be heard. Because when you open your life to the wild beauty of every unique individual, you'll discover your own colorful soul and the extraordinary, abundant heart of God.